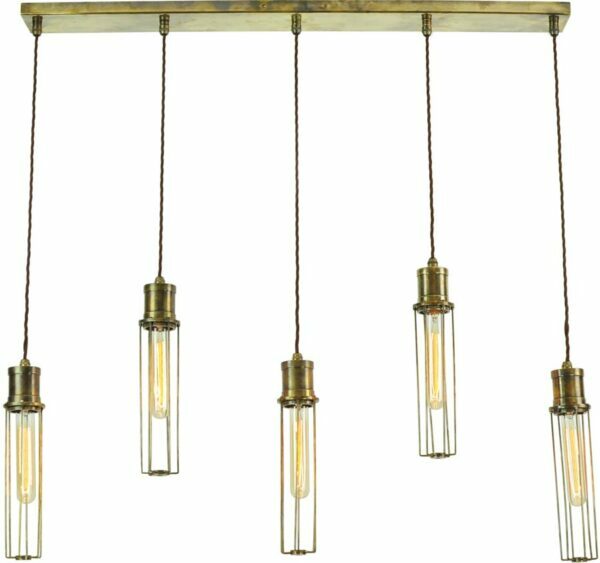 A wonderful hand crafted period pendant light bar, with a solid antique brass full length ceiling mount and braided silk flex. 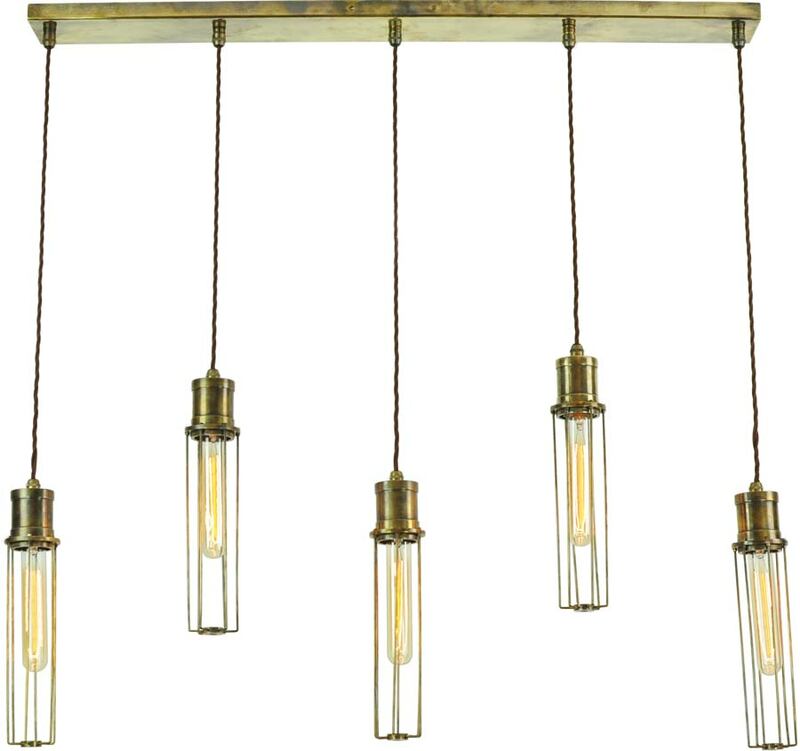 Five shades are suspended in a row, with solid brass cylinder upper galleries and open cage tube pendants, supplied complete with period style vintage tube lamp bulbs as shown. Part of the Alexander hand made range from the 1900 collection. This collection is inspired by the turn of the 20th century inventions by Alexander Graham Bell and recreates the warmth of the original filament light bulbs. From our vintage period lighting selection, a replica period five-light pendant, hand-made in the UK and finished to order.